That was exactly as wild as it seemed. The VIX volatility index, which tracks short-term market turbulence, jumped 116% on Monday -- the highest daily percentage recorded. The index has data going back to 1990. It's the biggest move since February 2007, when the index rose 64%. "That shows how much fear has jumped back into the market in a very short period of time," said Nicholas Colas, co-founder of DataTrek Research. Monday was the worst day for markets in recent memory. The Dow plunged almost 1,600 points before recovering slightly. 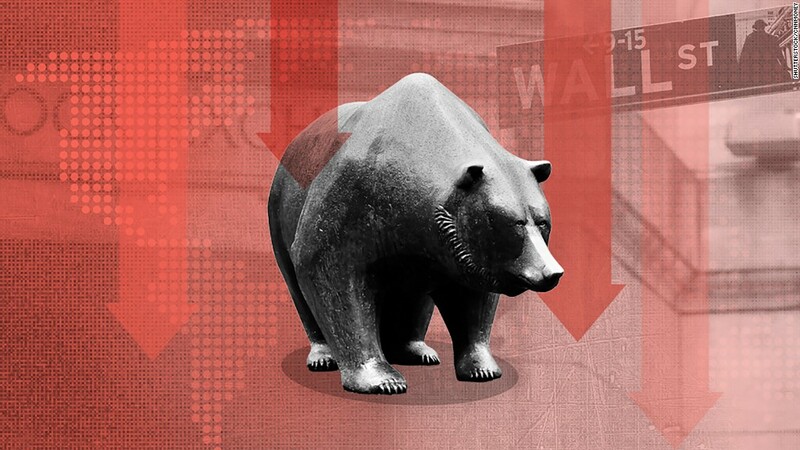 It closed down 1,175 points, the worst single-day point decline in Dow history. Its 4.6% fall was the biggest percentage decline since August 2011, during the European debt crisis. The VIX reflected that turmoil. The index, which hit 37.32, is now the highest it's been since August 24, 2015, the last time the Dow plunged 1,000 points in a day. A big reason for the sudden surge in volatility is that stocks have been calm for months, which has kept the VIX tamped down. The index touched an all-time intraday low of 8.56 on November 24, 2017, and was as low as 8.56 again on January 4. That relative tranquility made Monday's leap feel particularly severe. If investors had been expecting that to change, the VIX would have been moving higher before Monday. "If anything, we should have been surprised by how low volatility was to begin with," said Andres Garcia-Amaya, CEO of wealth management firm Zoe Financial. After months of calm for stocks, investors could now experience some rockiness in the coming weeks. One group of investors likely to be hit hard are those who have been betting against volatility. Market watchers are pointing to an exchange-traded security called the XIV, which is structured to go up when the VIX falls. The XIV is down more than 82% after hours. That means investors who thought the market would continue its bull run without a sell-off could get hit. But most people shouldn't panic, analysts say. The market's economic underpinnings remain strong. Corporate earnings are still expected to be bolstered by tax reform, and job creation remains steady. "If you're a day trader, this is a huge deal. If you're an investor in the long term, this becomes a blip," Garcia-Amaya said.